Posted on 5/8/2017 by China Martens. 0 Comments. People around the world seek out SAP training for a variety of reasons. Companies need to get their employees quickly up to speed on SAP software, while individuals want to expand and certify their SAP knowledge. 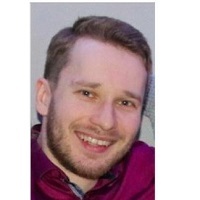 For Lubomir Kuznik, taking Michael Management SAP training is primarily about furthering his own career development, but he’s also been able to share what he’s learned with his work colleagues. Based in Prague in the Czech Republic, Lubomir is a supply chain master data subject matter expert for an international chemical company. His primary role is processing material master requests. Lubomir’s daily use of SAP is an 80/20 split between an end user and an analyst. He also develops reports and analyzes data to help clarify process and data rules and then drive business decisions for his peers around the world who work on supply planning, replenishing, customer service and data quality teams. The standard SAP training provided by his employer only prepared Lubomir to be able to carry out his current role. But he’s looking to the future. It took a while for him to locate the type of online SAP course he wanted. “Frankly speaking, after searching the Internet for nearly a month, I have found only Michael Management which provides the SAP courses I was looking for,” he says. Lubomir took the Michael Management SAP Sales and Distribution Overview (SDOV101) course earlier this year and passed with 100 percent. It was his fourth experience with eLearning but the first one which provided him with a course certification. In the last two months, Lubomir has completed twelve courses. He appreciates the flexibility of eLearning, which fits in so well with the needs of individual students like himself who prefer to study at home. I asked Lubomir for his advice on eLearning and particularly how he prepares for the all-important certification tests. He recommends taking screenshots of information as it’s presented during the courses as one way to capture what he needs to revise for the exams. Should he feel it’s required, Lubomir will also review the entire course material to recap and reflect on everything he has learnt. I was also keen to find out how Lubomir has applied what he’s learned during his SAP training courses in his working life. “The courses that I have taken so far have already been beneficial at times when I needed to explain to my colleagues—in my team and across functions—the order-to-cash (OTC) process, even the procure-to-pay (P2P) process in some cases,” he says. 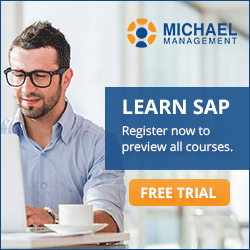 Lubomir has found the Michael Management SAP overview courses to be particularly helpful and especially relevant. Review the SAP training catalog provided by Michael Management and details about unlimited access for individual students to start growing your SAP skills. China Martens is a long-time observer of SAP software as both a technology journalist and an industry analyst. In her most recent role with the Americas' SAP Users' Group (ASUG), she has had a foot in both the technology journalism and analyst worlds as a writer and editor for ASUGNews and head of ASUG Research, creating surveys, analyzing the results, and writing reports.